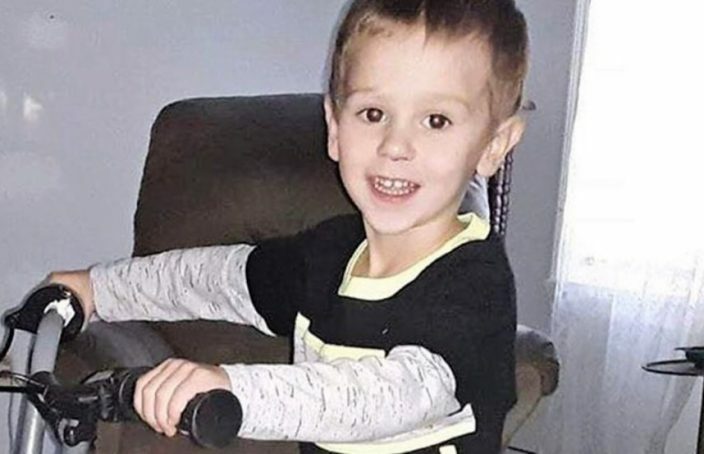 As the news became public about little 3-year-old Casey Hathaway, folks throughout Eastern North Carolina and beyond began to pray. He had wandered away from the backyard while out playing with young relatives and headed into the deeply wooded area of Ernul, a rural/farming community in north western Craven County. A massive search party formed, and as nighttime temperatures plunged into the twenties, everyone was worried that Casey may not survive. By day two of the search, and after torrential rainfall and wind, most people were thinking that a rescue mission may have turned into a recovery mission. A local woman, out walking her dog on a rural road, alerted rescuers that she heard what sounded like a little animal or child calling out from a thick wooded area. As searchers found Casey on the third day, he was dehydrated and scrapped up from the thick briers that had held him entangled. One of the first things he told his rescuers and his family was that “a purple bear” had been with him for those two and a half days, and that the bear had told Casey he was his best friend and that everything would be ok.
I’m not sure what to make of a “purple bear,” but I can’t question for a moment what Casey said he experienced. Some have called the “purple bear” an angel sent from the Lord. We certainly see in scripture where God, at times, used animals and angels in significant roles of protection. One thing is for certain, and that is that Casey was divinely protected. It’s been said that by day two his survivability rate was at 3%, but God kept Casey and brought him through 100% safe and sound. In Exodus 23, we see God promised Israel they would be protected by an angel on their way to the Promised Land, and in Acts chapter five, God protected and delivered the apostles from the angry hands of the religious authorities through an angel. Today, we can put our trust in God’s Divine Protection.